Pierre Janet (1859 – 1947) is considered to be one of the founders of psychology, and pioneered in the disciplines of psychology, philosophy and psychotherapy. Janet’s most crucial research, particularly in the subjects of ‘dissociation’ and ‘subconscious’ - terms coined by him - is explored in this book, first published in 1952. As Janet did not publish much in English, these notes provide guidance on such areas of study as hysteria and hypnosis, obsessive thinking and the psychology of adaption. 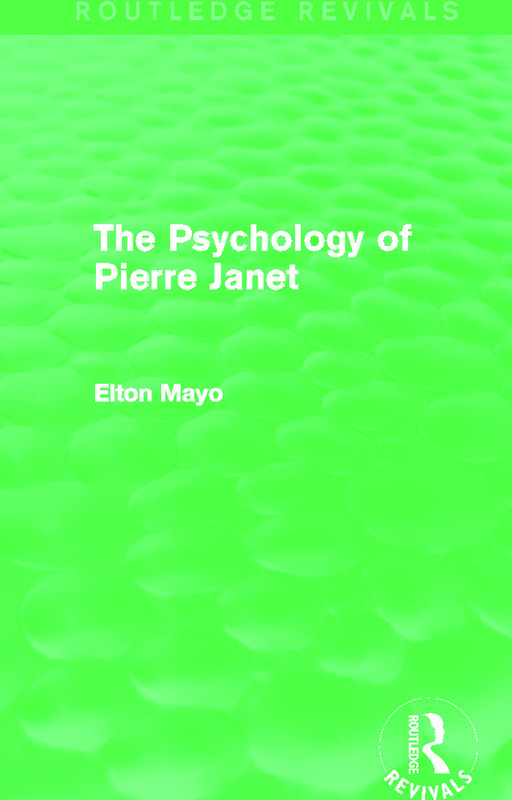 Elton Mayo’s comprehensive collection is an important guide for any student with an interest in the history of psychology, psychopathology and social study, and Janet’s revolutionary work in the field.